Find your naturist campsite in Corsica for holidays on the seafront with Naturisme.fr ! Select your holidays on the waterfront in naturist campsites in Corsica! Looking for sunny holidays? Find it on Naturisme.fr! Wait no more and book camping pitches and accommodations in Corsica naturist campsites ! Camping villages Bagheera and Riva Bella open their doors on the seafront for unforgettable holidays for two or with your family and friends! 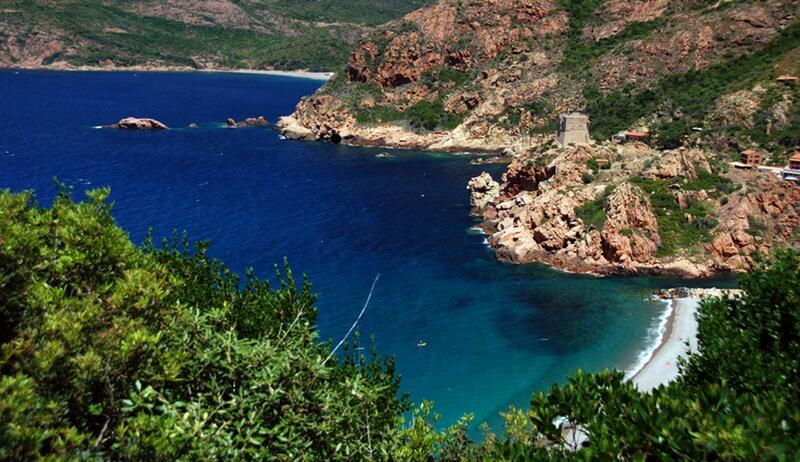 Nature lovers will enjoy the environment surrounding their naturist camspite in Corsica! Riva Bella village stretches alongside a sea pond for fishing and a large park for naked hiking. On the East coast, Bagheera village offers a health trail in a beautiful forest planted with eucalyptus. Great for recharging one's batteries in the heart of nature, don't you think? Corsica also means water pleasures! From your naturist camspite in Corsica with direct access to the beach, prepare your beach equipment : sunglasses, sunscreem, beach umbrella and unwind on one of the long fine sand beaches. You can also use the spa area, thalassotherapy, hammam, steam bath, jacuzzi, swimming pool, etc. No doubt you will enjoy relaxing holidays! Those looking for a bit of culture will visit Aleria antic city. 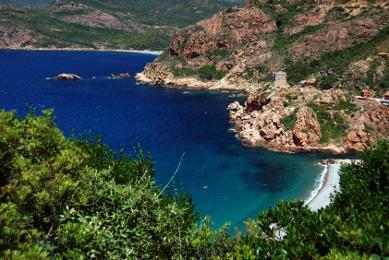 The ancient capital of roman Corsica boasts a wonderful civil, religious and natural heritage. Discover the Beauty Island soon! Book your accommodation and camping pitch in a naturist campsite in Corsica!. In wonderful Corsica, 4-star campsite Bagheera opens its doors in Bravone, on the first line on the banks of the Mediterranean. the naturist domain is settled in the heart of a eucalyptus forest, close to a peaceful bay with a long fine sand naturist beach with crystal-clear water. 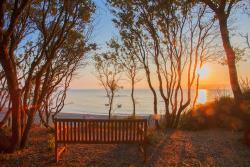 This little place of heaven is the perfect destination for relaxing and changing scenery! We're just waiting for you! In beautiful Corsica, 4-star naturist campsite Riva Bella in Aleria is full of surprises! Set between the beach and the mountain, Riva Bella boasts a wonderful setting on the first line in the heart of a natural protected area: sea water pond, long fine sand naturist beach and a special park for llamas! For completely relaxing holidays, the naturist campsite proposes a spa center!